Michael Gallo received a B.A. in Comparative Literature with Distinction from Swarthmore College in 1986 and was selected for Phi Beta Kappa. Mr. Gallo received a M.A. in Cultural Anthropology from the University of California at Berkeley in 1990. Mr. Gallo received a J.D. from the University of California at Berkeley’s Boalt Hall in 2001. Mr. Gallo was the Book Review Editor of the California Law Review. 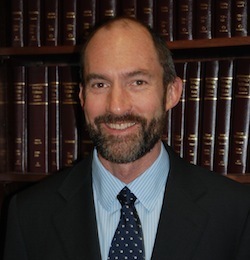 Upon graduation, Mr. Gallo served as a law clerk to the Honorable Christina Snyder, United States District Court, Central District of California. From 2002 to 2010, Mr. Gallo was an associate at Howard Rice Nemerovski Canady Falk & Rabkin (now Arnold & Porter), where he was a member of the Securities and Professional Responsibility Practice Groups. In 2010 and 2011, Mr. Gallo worked with the Regulatory Relations Department of Pacific Gas & Electric Company and continues to assist PG&E from time to time. Mr. Gallo joined Sparer Law Group in late 2011. Mr. Gallo has more than ten years of experience representing individuals and organizations in a wide variety of practice areas, including securities, employment, employee raiding, trade secret, public utility ratemaking, and professional responsibility matters. Mr. Gallo has represented diverse financial industry clients in FINRA arbitration, including obtaining a multi-million dollar award on a compensation claim by investment advisors against their former employer. Mr. Gallo has extensive experience litigating and managing class actions, for both plaintiffs and defendants. While at Howard Rice, Mr. Gallo represented clients including Charles Schwab, Longs Drugs, the University of California, the Pacific Maritime Association and the Oakland Raiders.